Mike Ullery | Troy Daily News Troy police inventory a vehicle that was involved in a chase early Wednesday morning. 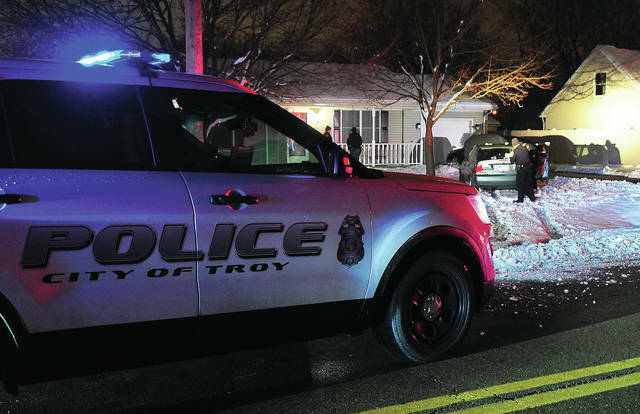 Mike Ullery | Troy Daily News Officers from the Troy Police Department conduct a search of a vehicle that was involved in a chase that began in Troy and ended near Tipp City early Wednesday morning. TROY — For the second time in as many days Troy officers were involved in a pursuit. Christy Cole, 47, of Troy, was charged with third-degree felony fleeing and eluding law enforcement, fifth-degree felony possession of methamphetamine and possession of scheduled drugs. She also was charged with misdemeanor marijuana drug paraphernalia, unauthorized use of property and OVI. Cole attempted to flee from officers near the Race Drive area around 12:30 a.m. Officers attempted to get the vehicle to stop, but Cole drove off southbound on County Road 25-A, with speeds exceeding 80 miles per hour at times. As Cole entered Tipp City, officers from Tipp City Police Department maneuvered to get in front of the pursuit and deploy tire-deflation devices. After winding through the area of Tipp Cowlesville Road, officers were able to get the spike strips into the path of the fleeing vehicle and deflate the tires. Although driving on flat tires, Cole continued to flee, making her way to Monroe-Concord Road. Speeds at this time were reported to be in the 50 mph range. Cole lost control of the vehicle and ran off the road and into a yard at 270 Monroe-Concord Road and was taken into custody. Cole was arraigned on the third-degree felony failure to comply and fleeing and eluding charge in Miami County Municipal Court. Her bond was set at $16,000. 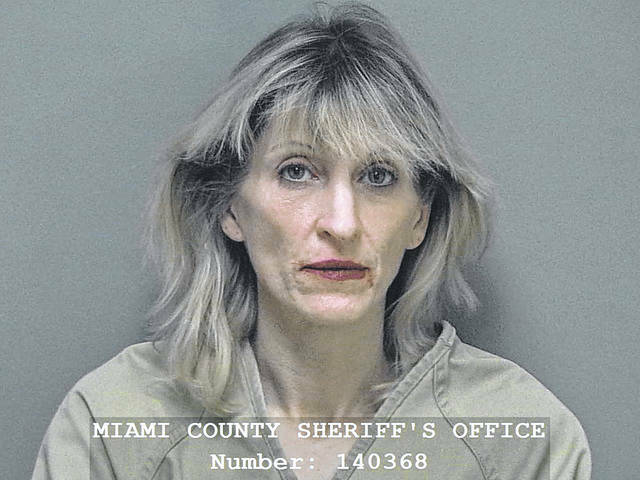 She remains incarcerated at the Miami County Jail. 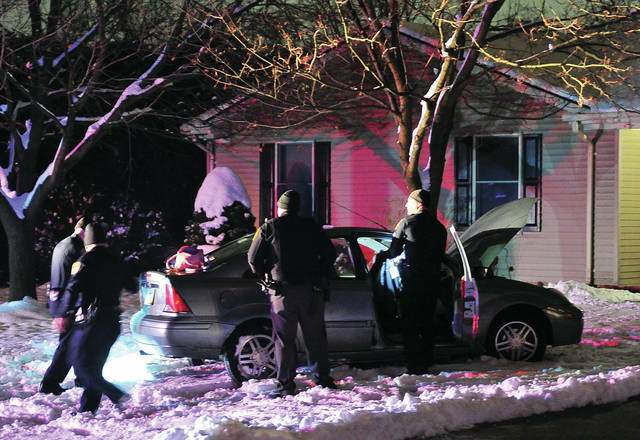 https://www.dailycall.com/wp-content/uploads/sites/30/2019/01/web1_011619mju_tpd_chase1-3.jpgMike Ullery | Troy Daily News Troy police inventory a vehicle that was involved in a chase early Wednesday morning. https://www.dailycall.com/wp-content/uploads/sites/30/2019/01/web1_011619mju_tpd_chase2-3.jpgMike Ullery | Troy Daily News Officers from the Troy Police Department conduct a search of a vehicle that was involved in a chase that began in Troy and ended near Tipp City early Wednesday morning.